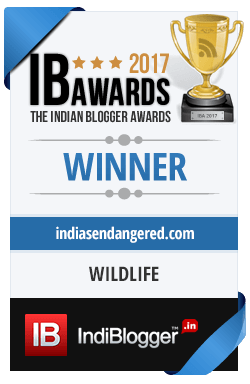 This is a guest post by Ahaan Sikka, a 12 year old reminiscing his first rendezvous with wild tigers. Ahaan Sikka is a true fauji brat. He has been attracted to adventure and nature since his childhood. Being a fauji kid he has had the privilege to travel and see nature at it’s best.From icy slopes of Himalayas at Leh and Sikkim to the temple ruins of Hampi, from rafting on Teesta to trekking up Tigers nest monastry this 12 year old has now set sights on exploring the Tiger circuit in India and what better a place to start than Bandhavgarh. Having inherited his writing skills from his mother who is a copywriter, here is his first travelogue. This summer holidays we had something special planned when I visited my grandparents at Indore. 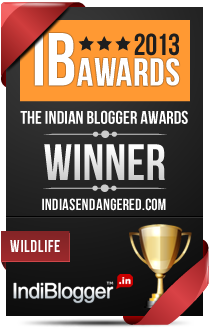 It was a short trip to Bandhavgarh Tiger Reserve to meet the king of the jungle himself. Having watched Nat Geo, Discovery and umpteen of knowledge channels I was all set, ready to meet the tiger in real life, or at least I thought so. The journey began with me boarding the train from Indore along with my grandparents, mother and sister. This in itself was a fun-filled ride as the train slowly chugged along the Malwa Plateau. I spent my time playing cards with my family, catching a bit of the Football World Cup action on the mobile when the signal was strong and munching away on homemade goodies. We finally arrived at our destination Umaria a small town close to Bandhavgarh next day afternoon. As we sat in the taxi enroute to the resort, the road passed through the core area of the reserve and both me and my sister sat glued to the window hopeful of catching a glimpse of a tigress with her cubs who as per our driver had been seen on the highway, but it was not to be. We soon reached our resort aptly named ‘Moglie’ and freshened up. My father who had taken his flight from Delhi to Jabalpur then joined us directly at the resort. The evening was spent exploring the resort and preparing for our trip to the tiger reserve next day morning. As it was going to be an early start we had an early dinner and went to bed. Will we get to see tigers tomorrow or not…the question in all our hearts as we slept. The alarm went sharp at 4 am and I was up and awake. We all freshened up quickly as our Gypsy awaited us at the reception. We were all set, armed with packed breakfast and our cameras to meet the elusive one. Our first safari was to a range called ‘Magadhi’. The first thing that struck me was the cool breeze around early in the morning and how refreshing we felt as we breathed in the fresh jungle air. It was going to be a bright, sunny day and this meant we had a better chance of spotting a tiger. A dancing peacock greeted us as we started on the track, followed by a sight of a herd of deers munching on fresh green grass that had grown after the first few showers. We also spotted a couple of wild boars, langoors and monkeys. The jungle was thick and full of bamboo, sal and mahua trees. The dominating sight was the hill of Bandhavgarh which rose majestically in the centre of the reserve on top of which is situated the erstwhile fort. As we roamed around we spotted a couple of forest guards, a quick exchange of information and we were in business. A tiger ‘Datty’ as our guide called her was known to be near us. We waited for sometime but nothing moved or was heard, so we moved a bit ahead and then stopped. Suddenly, our driver spotted some movement and drove us to the neared spot and to our delight, came strolling with all her swagger ‘Datty’! About 6 gypsies stood lined up on either side of the road. Her pug marks had been seen near a waterhole and she wanted to cross the track to get back to her cubs in the cave. She looked right at us and growled as if she was annoyed at her morning stroll being disturbed and then in one swift jump she was across the track into the wilderness, perfectly camouflaged in the trees around. It all seemed as if Nat Geo had come into life…that ground stood still…give me goosbumps even as I write about it. I just had my first sighting of the tiger in the wild, in my very first safari, lucky, yes, I was as I heard tales from other tourists as to how 3-4 days had gone without a sighting. We then moved to the forest guard hut where we had our breakfast. Another route thereafter and deers and adjutant storks were all we could sight. But the day started on a good note. Off we went to our resort for lunch before the safari for the evening. A quick bite and we were ready for another game of hide and seek with the tigers. This time we we going to the ‘Tala’ zone. It was known for tiger sightings and we realised later we had an expert team of guide and driver in the form of Ajit and Babloo. Even before we had settled down properly, Ajit stopped the vehicle near a rivulet and asked us to spot the tiger behind. We thought he was joking and try as we could, this one was hard to spot. And then, as if to oblige us, the tigress ‘Bhagaudi’ got up and started moving towards the hill. We were the only ones to spot this as others had moved up to the bridge where we later proceeded. Here were cooling off the pair of ‘Mangu’ and ‘Spotty’. Almost all the Gypsies of the range were here and there, just a few metres away from us were relaxing this magnificent pair as if we didn’t even exist. Out came our cameras and we clicked away to glory. After a bit my little sister got bored and while we wanted to stay more our guide said, “Don’t worry, we will spot more.” So here was a man who was sure of spotting more tigers when people didn’t spot even one in days together. So while others were busy on the bridge, we went ahead looking for more. Spot a tiger we sure did in an area called ‘Andiyari Jhiri’. She was again a tigress, an offspring of ‘Spotty’ and again at a spot where anyone else would have just driven past. But Ajit had spotted something so we waited. Then as if to keep Ajit’s words, out came the tigress parallel to the track and then she turned towards us marking her territory all this while. This was not all as Spotty’s cub, as she was called, walked on the trail and we tailed her for at least 100 m before she decided to show us more with a beautiful jump over the 7 feet fence demarcating the core and the buffer zone and then she was gone. Ajit had kept his words of showing us 4 tigers and then back we went to the bridge where Mangu and Spotty perhaps bored with the crowd around had decided they needed some privacy and walked off into the jungle in front of us. It had been a thrilling ride. How many people who go on a safari end up spotting five tigers in one day! It seems as if someone had planted the tigers as we went from one location to the other. The next day we were back to reality as a trip to Tala zone resulted in zero tiger being spotted. We realised how lucky we were the first day and how amazing the guide Ajit had been. The evening was spent playing cards, catching up on world cup matches and going through our photographs and videos. The next day we drove back to Jabalpur. Our eyes were still glued to the windows as we took the highway to catch a last glimpse of the king and this time we were not disappointed. On the road side was a tiger with cubs. What a sight it was but we could not wait for longer as the guards asked us to move on else a jam would put the tigers in grave danger. The rest of the way passed away as we cherished all sightings. For me it was my first rendezvous with the King of the Jungle….but it surely won’t be the last.